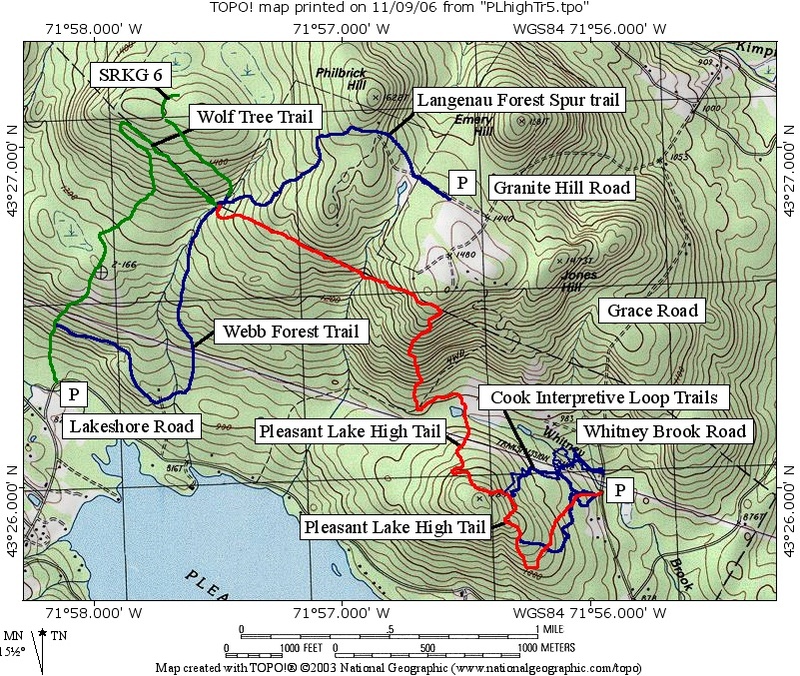 The Pleasant Lake High Trail (in red on the map) starts at Whitney Brook Road along with the Cook Interpretive Loop Trail. The trail ascends following along several of the flag marked trails on the Cook property (in blue on the map). It is now blazed with a combination of an orange trapezoid and a green circles. 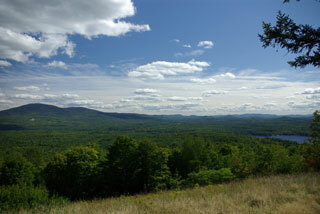 Shortly after passing over the mountain view point marked 17, the High Trail branches to the left from the Cook Interpretive Loop Trail, (flagged with pink). 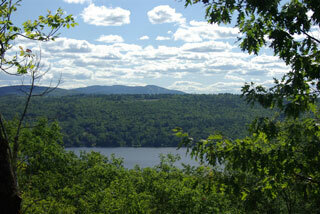 The Pleasant Lake High Trail then ascends about 90 feet, then descends 170 feet to Deming Pond. 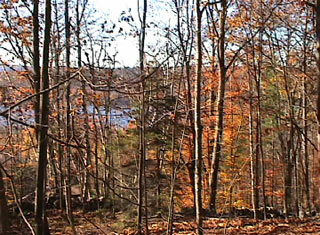 The trail then ascends 480 feet in 0.7 miles to its highest point near the New London - Wilmot town line. It follows along the town line descending 200 feet in 0.9 miles to the Webb Forest Interpretive Trail just below the intersection with the Wolf Tree Trail (SRKG) at the New London - Wilmot town line. The trail, indicated in red on the map, is 2.7 miles long. This trail, when combined with the Langenau Forest Spur Trail, provide a one-way hike of 3.8 miles between parking areas with a net vertical rise of nearly 500 feet. 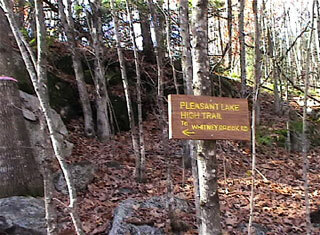 The elevation profile for Pleasant Lake High Trail starts at Whitney Brook Road and provides the mileage to the intersection with the Webb Forest Interpretive Trail. Copyright � 2013 New London Conservation Commission - All Rights Reserved.